Detailed driver notes and statistics to help set your fantasy racing lineup for Sunday’s South Point 400 at Las Vegas Motor Speedway. Brad Keselowski is the only driver that has finished in the top 10 in each of the last six races, including two wins. Martin Truex Jr. has posted a 4.5 average finish in his last four starts, including a win in 2017. Kevin Harvick led 214 laps in the spring en route to his second win in the last four races. Joey Logano has finished in the top 10 in the last five races. Kyle Busch, the 2009 race winner, finished second in the spring for his third top five in the last five races. Ryan Blaney, who won the pole in the spring, has finished seventh or better in his last three starts. Kyle Larson has posted a 2.5 average finish in his last two starts at Las Vegas. Jimmie Johnson has two wins and has led the most laps (474) in the 12 races since Las Vegas was reconfigured. However, he has only one top 10 in the last 10 races at 1.5-mile tracks. Erik Jones, Paul Menard and Aric Almirola finished in the top 10 in the Las Vegas spring race. 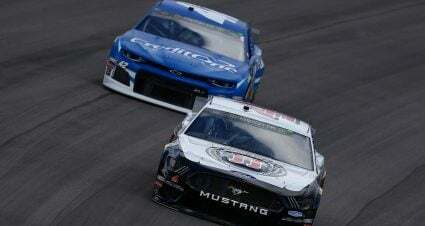 Almirola led 70 laps at the 1.5-mile Chicagoland Speedway, a race that was held under hot weather conditions. 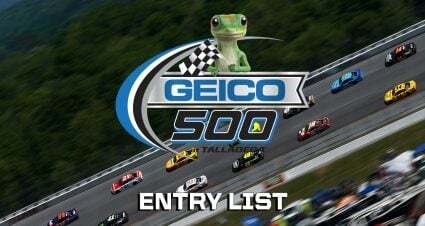 Kyle Busch (3.7), Harvick (7.6), Truex Jr. (7.9), Jones (8.9), Logano (8.9), Larson (10.0), Keselowski (10.1), Clint Bowyer (10.6), Denny Hamlin (12.3) and Kurt Busch (12.7) are the top 10 drivers in average finish in the seven races at 1.5-mile tracks in 2018. Chase Elliott has finished in the top 10 in six of the last seven races this season. His lone top 10 at at 1.5-mile track this season came at Atlanta Motor Speedway. Elliott’s teammate Alex Bowman saw his consecutive top 10 streak at 1.5-mile tracks get snapped at two after an accident at Kentucky. Notes: Monster Energy NASCAR Cup Series teams will be running the same tire combination that they ran at Las Vegas in March…This will be the 13th race for the Cup Series since Las Vegas was reconfigured and the first time for two events in a season…Kyle Busch (2009) is the only driver that has won from the pole in 21 overall races and the second starting position has sparked the most winners (4) with Kevin Harvick the latest in the spring…Stewart-Haas Racing leads all oranizations with the most playoff drivers in the field with four…Martin Truex Jr. (6), Harvick (4) and Kyle Busch (3) have combined to win the last 13 races at 1.5-mile tracks. Click Here to view all laps led leaders at Las Vegas Motor Speedway over the past 10 races. 7. Kurt Busch 7. 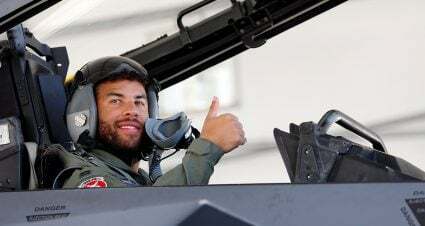 Martin Truex Jr.
Sunoco Rookie of the Year candidates Bubba Wallace and William Byron finished 21st and 27th, respectively, in their first start at Las Vegas in the Monster Energy Cup Series in the spring. Wallace and Byron each have respective average finishes of 21.4 and 23.9 in the seven races at 1.5-mile tracks this season. 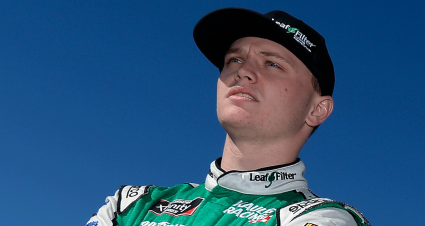 Both drivers saw their only top 10 in those races come at Texas Motor Speedway in April. Brad Keselowski is the only driver that has finished in the top 10 in the last six races at Las Vegas, including wins in 2014 and 2016. Keselowski failed to lead at least one lap at Las Vegas for the first time since 2011 in the spring race. In 2015, he led 89 laps and was passed for the lead with two laps to go when he had a mechanical issue that relegated him to a fifth-place finish. 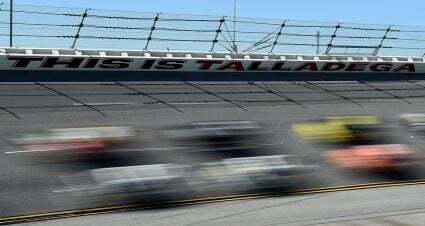 Keselowski, who is coming off back-to-back wins on the season, has posted a 10.1 average finish in the seven races at 1.5-mile tracks, including top 10s and a combined 56 laps led in the last three. Joey Logano has finished in the top 10 in his last five starts at Las Vegas, including a second-place finish in 2016. Logano has combined to lead 195 laps in that span and won the pole in 2014. Logano is tied for fourth with Erik Jones in average finish in the seven races at 1.5-mile tracks this season. He’s finished in the top 10 in the last two held at Chicagoland Speedway and Kentucky Speedway. Martin Truex Jr. is coming off his third top five in the last four races at Las Vegas. He started second and led 150 laps en route to the win in the 2017 race, along with the opening two stages. He is tied with Larson with the most stage points (33) in the last two races at Las Vegas. Truex, who is looking to overcome some bad luck as of late, is the latest winner at 1.5-mile tracks with a dominating performance at Kentucky Speedway. The win was his fourth straight top five at a 1.5-mile track. Ryan Blaney has posted a 9.2 average finish in four starts at Las Vegas, his best average among all the tracks that he’s competed at. Blaney started from the pole in the spring and led one lap en route to a fifth-place in his first track start with Team Penske. 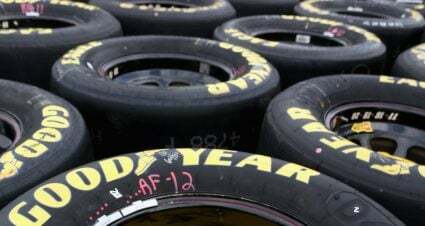 The finish was his third consecutive top 10 at the track after finishing sixth and seventh, respectively, in his previous two starts with Wood Brothers Racing. Blaney is coming off his best finish of the season at a 1.5-mile track, finishing second at Kentucky Speedway. Kyle Busch finished second in the spring for his sixth top five in 14 starts at Las Vegas, which includes a win in 2009. 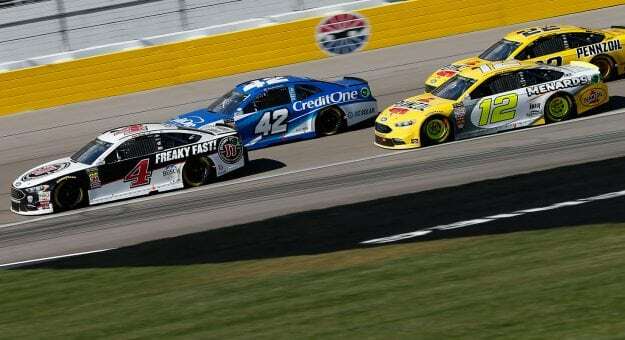 In 2017, Busch was running in the top five and racing hard for position when Joey Logano got loose and got into him on the final lap. The contact resulted in a 22nd-place finish and a post-race altercation on pit road. This season, Busch holds the best average finish (3.7) in the seven races at 1.5-mile tracks, which includes three wins. Ryan Newman has posted a 10.2 average finish in his five Las Vegas starts with Richard Childress Racing. Newman finished 11th in the spring, which is his best finish at a 1.5-mile track this season. Erik Jones finished eighth in the spring at Las Vegas to lower his average finish to 11.5 in two starts there. Jones is tied for fourth with Joey Logano in average finish in the seven races at 1.5-mile tracks this season. He finished sixth and seventh, respectively, in the last two at Chicagoland Speedway and Kentucky Speedway. Paul Menard finished ninth in the spring at Las Vegas in his first track start with Wood Brother Racing. Menard’s other top 10s came in 2012-2014 with Richard Childress Racing. 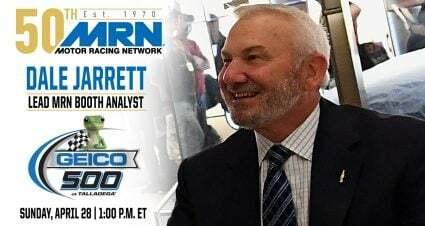 Menard has finished 14th or better in in his last four starts at 1.5-mile tracks, including a sixth-place finish at Kansas Speedway in May. Denny Hamlin finished 17th in the spring at Las Vegas. He finished fifth and sixth, respectively, in 2015 and 2017. This season, Hamlin has posted a 12.3 average finish in the seven races at 1.5-mile tracks. He finished 16th in the last race at Kentucky Speedway, snapping a streak of consecutive top 10s at 1.5-mile tracks at three. Kyle Larson has finished second and third, respectively, in the last two races at Las Vegas to lower his average finish to 13.2 in five starts. 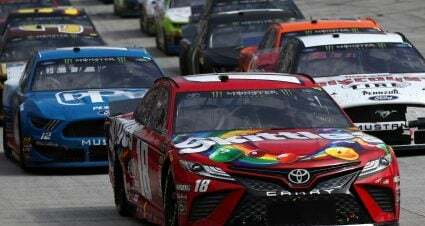 He is one of three drivers that has finished in the top 10 in each of the last four races at 1.5-mile tracks, including a second-place finish at Chicagoland Speedway. Jimmie Johnson leads all drivers with four wins at Las Vegas with two of them coming since the track was reconfigured. Johnson had to start at the rear of the field in the spring after multiple inspection failures in the spring and was able to finish 12th. The spring race was the first time he failed to lead a lap at the track after combining to lead 275 in the previous six races. Johnson’s only top 10 at a 1.5-mile track this season came at Charlotte Motor Speedway, in fifth. Austin Dillon finished 13th in the spring at Las Vegas for his best finish in the seven races at 1.5-mile tracks this season. His lone top 10 (fifth) at Las Vegas came in 2016. Jamie McMurray finish 36th in the spring race after an accident to snap a streak of six finishes of 16th or better. McMurray’s eighth-place finish in 2017 was his fourth top 10 since Las Vegas was reconfigured. This season, McMurray has posted two top 10s and has yet to lead a lap in the seven races at 1.5-mile tracks. Kevin Harvick won for the second time at Las Vegas in the spring with a dominating performance, leading 214. However, he was penalized after his Ford was determined to have violations in the rear window area. Harvick has yet to finish outside the top five at a 1.5-mile track where he’s been running at the finish. He is tied with Kyle Busch for the most wins (3) at 1.5-mile tracks this season.